I revealed my new Mid-Century Master Bedroom a few weeks ago. It hasn’t changed a bit since then because I just love it so much. 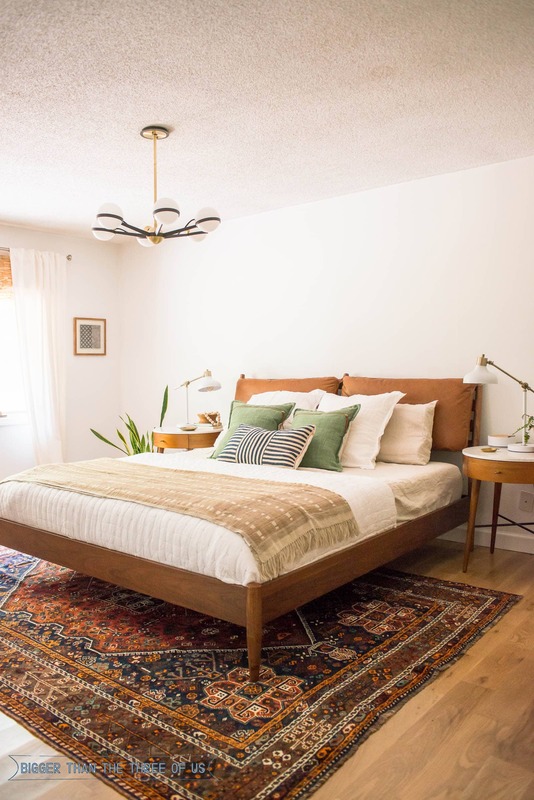 But, if you are newer reader (or listener) then you probably haven’t been around for the many different iterations that my vintage, modern master bedroom has gone through. Your master bedroom should be your oasis, but many times, it takes a backseat to other rooms in our homes. In today’s show, I talk about my Mid-Century Modern Master Bedroom and how it’s finally a place that feels like a retreat. You’ll hear how each DIY step got me closer to my dream space and also how you can make steps to create your own dream bedroom! My 2014 Light and Bright Master Bedroom.